Sendagaya Group’s splendid teaching materials make your dreams come true!! Sendagaya Japanese Institute Group has been established for more than 40 years. In the past 40 years, we have made various achievements on Japanese education of Preparatory Education Course, General Japanese Course, Business Japanese Course, Japanese Teachers’ Training Course. 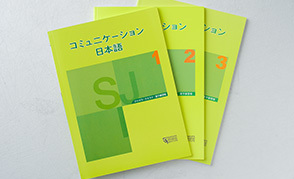 The Japanese teaching materials and textbook series were developed with our rich experience on Japanese education. Sendagaya Group’s social creditability was built while the books went through several editions. We truly hope that you could make use of our teaching materials, and make your dreams come true. A textbook designed to develop practical communication skills for the beginner to lower-intermediate levels. It meets the Common European Framework of Reference for Languages’ A1〜A2 Level. “Conversations” taken place in various and colorful scenes, such as those in everyday life, school, or one’s work place. “Sentences” where the main conversations are expressed. “Example Sentences” where grammar points are explained. “Practice A/B” where new topics of learning are gradually practiced for proper use. Practice problems designed to reinforce concepts introduced in the textbook. For every lesson in the text there is a diverse set of problems student can review aimed to help effectively solidify understanding of key sentence patterns. Our students are capable of learning through the internet e-learning system. 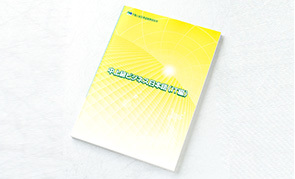 A character practice book designed to help students learn Hiragana, Katakana, Kanji step by step. 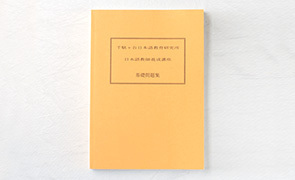 With kanji’s writing steps, readings, and completed words, the content is designed to increase students’ vocabularies. A voice recording CD aligned with the textbook. Through daily review of classes, students can improve their listening and practical communication skills. For students ranging from Intermediate to Advanced levels (CEFR’s B1〜B2). Starting from an interview with an IT company, various workplace environments are expanded upon so students can learn business Japanese used both within and outside the company in a practical way. “Column” a short article written using business phrases. 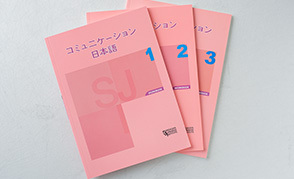 A landmark teaching material where students can experience the JLPT as if they were taking the real thing. Several editions have been released and it has received an overwhelming response from the market. Problem booklets 1 & 2 are bound together in a way that if you pull them apart it is exactly like the real test booklet. From the way questions are set up, the amount of problems per given field, or even the way the booklets are designed, everything is set up to be as close to the real JLPT as possible. This allows you to conduct a mock exam incredibly similar to the real thing. 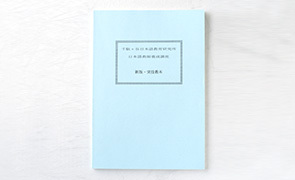 Problems included in the booklets are tested by Sendagaya Groups students, the largest scale student body available domestically, and after careful selection are refined until completion. In addition to use as a practice test, it can also be used to find students weak points at the beginning of study. 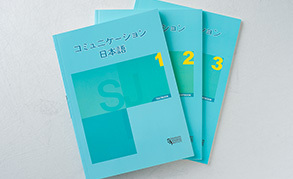 Final edition of the basic textbooks which contain systematically summarized basic theories of Japanese language teaching. 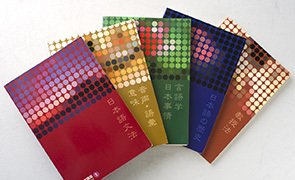 The series includes five books, which are ‘Japanese Grammar’, ‘Phonetics, Vocabulary & Meaning’, ‘Linguistics & Japanese Society and Culture’, ‘History of the Japanese Language’ and ‘Teaching Methods’. Basic theories of Japanese language teaching used in classrooms are described in these books in easy ‘desu-masu’ style by top researchers. 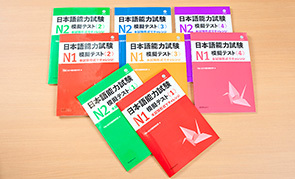 The original textbook series has a good reputation as an introduction for future Japanese teachers in the Japanese Teachers’ Training Program. Basic questions based on theoretical subjects of the Japanese Teachers’ Training Program. It includes questions and answers. Parts of it will be used in the Japanese Teachers’ Training Program, but it is mainly for participants in the program to check their understanding of what they have learned and to enhance learning efficiency. Summarizes the basics of Japanese language teaching by the direct method by specific exercise methods and lesson planning. Structured in a way where you can study how you really can explain grammar by sentence structures, how to make the students understand the explanations efficiently, exercise methods and lesson planning in a stepwise manner.